Investing in a generation: an industry-led campaign to increase apprenticeships in UK companies. 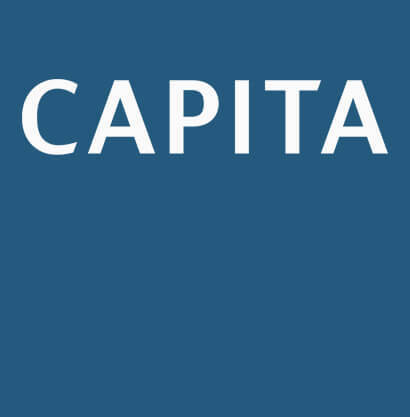 Increasing the social footprint: enhancing and amplifying Capita’s social messaging. Pioneering change: educating SME’s on the benefits of alternative finance. Our award-winning team helps businesses with B2B communication strategies across all channels. We enhance and protect corporate reputations, providing companies operating in different sectors with PR-driven solutions in order to achieve positive, tangible outcomes. Five important components of a successful B2B PR plan. It is essential for a company to have a social media presence. Can PR put your business in the shop window? Can PR really help me reach my goal to sell my business? "In the time I have worked with The PHA Group the support, innovation, and professionalism demonstrated throughout their maintenance and creation of our social media have been of high quality. Our social media presence has not only grown but in engagement rates too. The team are friendly and always willing to help, even when outside of their remit." What can the B2B PR team do for you? When it comes to crisis management in recent years CEOs have been subject to more scrutiny than ever before. There will be a number of things on your ‘to-do’ list in the forthcoming 12 months. One of these action points should be to refresh your corporate communications approach. Our industry experts bring their years of media experience into your one-to-one session. You'll leave confident and prepared. We understand how to position you as a leading commentator on the issues affecting your industry. In short, B2B communications refers to a strategy which enables a business to communicate with other businesses, with the aim to boost credibility, reputation, coverage and ultimately sales. It is different to B2C, which refers to business communicating with consumers. Why do I need a B2B communications plan? If your customer base is other businesses, then a B2B communications plan is vital for you to target the customers and prospects that count. Can a PR agency help me boost my reputation? Done correctly, yes. There are various PR tactics to be used in the B2B sphere which are ultimately geared towards boosting your reputation amongst other businesses. Is engaging with trade press important? Trade press is often overlooked but can be invaluable for B2B communications. The importance of a leading trade title can often outstrip the desire to be featured in a national title. In some sectors, trade titles are considered the voice of a industry. Fostering relations with key trade media journalists is an important element of any B2B PR plan. It is often a different skill to engaging with national journalists, and the delivery of ideas and content to them will also be different. They are overlooked at your peril. Would a B2B communications plan also encompass the business pages of national newspapers? Yes, most B2B comms plans would be rounded in terms of targets and objectives. A business you are trying to connect with may well be an avid reader of the FT, or the Telegraph or Times business sections. These titles could be read by potential investors and other interested parties, so engaging with them is also important. But these publications require different types of stories to the trade press, and this must be carefully considered. My company is a fast-growth SME. Are B2B communications important to me? The nature of your business will determine what you require. The point to remember is not determined by size, or level of growth – it is by requirement. Can an agency offering PR complement our overall B2B marketing strategy? Yes, it can not only complement, it can enhance. If your marketing strategy is based primarily on adverts and not PR, there is an array of tactics you are not using. The most obvious is that you are not telling a compelling story about your business. This is arguably the best way to inform potential business partners about your journey, passion and know-how. Why do I need corporate media training? Professional media training is vital for leaders of any corporation, the CEO. In a world of 24/7 communication, it has never been more important to prepare yourself for any media situation, where key messages need to be prepared for a crisis. Without preparation, even the sharpest executives can come unstuck in the media spotlight, and one muddled answer on radio or television can severely damage a business’s reputation. The PHA Group specialist team of media trainers are industry leaders in providing comprehensive coaching for all media situations, from live broadcast scenarios to in-depth print interviews. We have never engaged with internal communications. What are we missing? Good internal communication facilitates positive conversations within your organisation, between leaders, managers and all employees. Done well, internal communication can help ensure your workforce is committed, enhancing collaboration, productivity and performance. Effective internal communication puts the employee at the centre of the organisation and that genuine, honest, two-way dialogue can form a platform through which an organisation will flourish. My business is under attack in the media. What can be done about this? When a company is faced with an unforeseen crisis, its very reputation is at stake – often with billions of pounds of market value hanging in the balance. The PHA Group has specialists who are industry leaders in helping organisations prepare for unexpected events. This includes ensuring accurate representation of facts in the media, by engagement with stakeholders to ensure maintenance of credibility and by identifying all legal avenues and consequences. By preparing thoroughly for every scenario, you can help ensure business continuity in any given event. How can The PHA Group help me restore and maintain corporate reputation? The most effective way to protect your corporate reputation is to put in place a detailed response plan for a range of situations that have the potential to threaten business value, operations and reputation. We will work with you to plan for every scenario, devising a crisis management plan and media training programme for your leadership team. With a long-term view to maintaining and build corporate reputation, our specialist team will customise a communications campaign to help you re-establish industry leadership, through positive and pro-active engagement with the media.